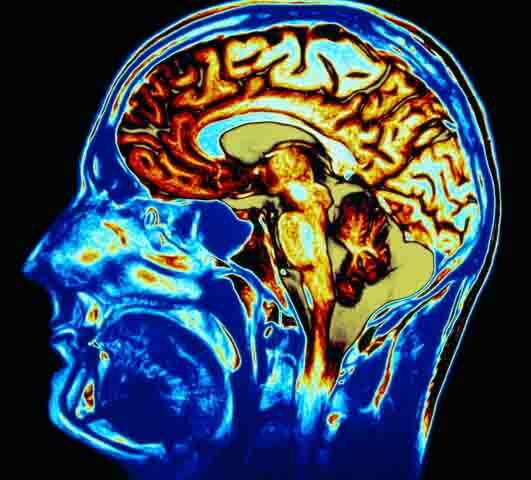 Myths about the Brain | WhatPoll? We've often been told that we only use about 10 percent of our brains. Famous people such as Albert Einstein and Margaret Mead have been quoted as stating a variation of it. This is probably one of the most well-known myths about the brain, in part because it's been publicized in the media for what seems like forever. Here's the thing, though; it's not really true. In addition to those 100 billion neurons, the brain is also full of other types of cells that are continually in use. We can become disabled from damage to just small areas of the brain depending on where it's located, so there's no way that we could function with only 10 percent of our brain in use. Brain scans have shown that no matter what we're doing, our brains are always active. Some areas are more active at any one time than others, but unless we have brain damage, there is no one part of the brain that is absolutely not functioning. Just one observation of a drunken person is enough to convince you that alcohol directly affects the brain. People who drink enough to get drunk often end up with slurred speech and impaired motor skills and judgment, among other side effects. But are a few drinks on the weekend, or even the occasional long drinking session, enough to kill brain cells? Not so much. Even in alcoholics, alcohol use doesn't actually result in the death of brain cells. It can, however, damage the ends of neurons, which are called dendrites. This results in problems conveying messages between the neurons. The cell itself isn't damaged, but the way that it communicates with others is altered. According to researchers such as Roberta J. Pentney, professor of anatomy and cell biology at the University at Buffalo, this damage is mostly reversible. The concept of subliminal messages feeds into our suspicions about what the government, big corporations and media are really trying to tell us. A subliminal message is a message embedded into images or sound meant to penetrate into our subconscious and influence our behaviour. The first person to coin the term was James Vicary, a market researcher. In 1957, Vicary stated that he inserted messages into a showing of a movie in New Jersey. The messages, which flashed for 1/3000th of a second, told moviegoers to drink Coca-Cola and eat popcorn. According to Vicary, Coke sales in the theater increased by more than 18 percent and popcorn sales by more than 57 percent, proving that his subliminal messages worked. But did the messages work? Turns out, Vicary actually lied about the results of his study. Subsequent studies, including one which flashed the message "Call now" during a broadcast on a Canadian TV station, had no effect on viewers. Don't you just feel cultured when you tune in to a classical music station and take in an opera or a symphony by a great composer like Mozart? Baby Einstein, a company that makes DVDs, videos and other products for babies and toddlers incorporating classical art, music, and poetry, is a million-dollar franchise. Parents buy the products because they believe that exposure to great art (like Baby Mozart DVDs and CDs) can be good for their children's cognitive development. There are even classical music CDs designed to be played to developing fetuses. The idea that listening to classical music can increase your brainpower has become so popular that it's been dubbed "the Mozart effect." Mozart certainly can't hurt you, and you might even enjoy it if you give it a try, but you won't get any smarter. 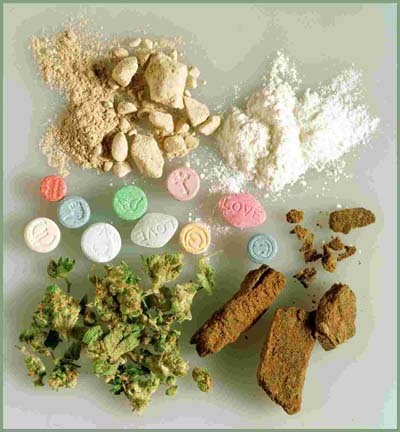 Exactly how different drugs affect your brain is a pretty controversial subject. Some people claim that only the most severe drug use can have any lasting effects, while others believe that the first time you use a drug, you're causing long-term damage. In truth, the only thing that can actually put a hole in your brain is physical trauma to it. Researchers do claim that drugs can cause short-term and long-term changes in the brain. For example, drug use can lower the impact of neurotransmitters (chemicals used to communicate signals in the brain) like dopamine, which is why addicts need more and more of the drug to achieve the same feeling. In addition, changes in the levels of neurotransmitters can result in problems with neuron function. Whether this is reversible or not is also up for debate. But although the jury's still out on exactly how different drugs can affect your brain for the long term, we can be reasonably sure of one thing: No drug actually puts holes in your brain. Many animals can use their brains to do some of the things that humans can do, such as finding creative ways to solve problems, exhibiting self-awareness, showing empathy toward others and learning how to use tools. But although scientists can't agree on a single definition of what makes a person intelligent, they do generally agree that humans are the most intelligent creatures on Earth. In our "bigger is better" society, many people foolishly believe that humans have the biggest brains of all animals, because we're the smartest. Well, not exactly. The average adult human brain weighs about 3 pounds (1,361 grams). The dolphin -- a very intelligent animal -- also has a brain that weighs about 3 pounds on average. But a sperm whale, not generally considered to be as intelligent as a dolphin, has a brain that weighs about 17 pounds (7,800 grams). On the small end of the scale, a beagle's brain is about 2.5 ounces (72 grams), and an orangutan's brain is about 13 ounces (370 grams). Brain damage is an extremely scary thing. For something so mysterious and amazing, the brain can actually be quite fragile and susceptible to a multitude of injuries. Brain damage can be caused by anything from an infection to a car accident, and it essentially means the death of brain cells. There are many different types of brain damage, and exactly how it will affect someone depends largely on its location and how severe it is. A mild brain injury, such as aconcussion, usually occurs when the brain bounces around inside the skull, resulting in bleeding and tearing. The brain can recover from minor injuries remarkably well; the vast majority of people who experience a mild brain injury don't experience permanent disability. Have you given any thought to the colour of your brain? Maybe not, unless you work in the medical field. We have all colours of the rainbow in our bodies in the form of blood, tissue, bone and other fluids. But you may have seen preserved brains sitting in jars in a classroom or on TV. Most of the time, those brains are a uniform white, grey or even yellowish hue. In actuality, though, the living, pulsing brain currently residing in your skull isn't just a dull, bland grey; it's also white, black and red. Like many myths about the brain, this one has a grain of truth, because much of the brain is grey. Sometimes the entire brain is referred to as grey matter. However, the brain also contains white matter, which comprises nerve fibres that connect the grey matter. The black component is called substantia nigra. It's black because of neuromelanin, a specialized type of the same pigment that colours skin and hair, and it's a part of the basal ganglia. As humans evolved as a species, our brains grew larger to accommodate all of the higher functions that set us apart from other animals. But in order to keep the brain compact enough to fit into a skull that would actually be in proportion with the rest of our body size, the brain folded in on itself as it grew. If we unfolded all of those ridges and crevices, the brain would be the size of a pillowcase. The ridges are called gyri and the crevices are called sulci. We don't start out with wrinkly brains, however; a fetus early in its development has a very smooth little brain. As the fetus grows, its neurons also grow and migrate to different areas of the brain, creating the sulci and gyri. By the time it reaches 40 weeks, its brain is as wrinkled as yours is (albeit smaller, of course). So we don't develop new wrinkles as we learn. The wrinkles we're born with are the wrinkles we have for life.